Leicester Tigers and Brooksby Melton College are continuing to bring through the next generation of Tigers stars and you could be a part of it. If you’re looking to study at higher or further education level, join us at Brooksby Melton College on the morning of Saturday, November 3 for a rugby taster day. Starting at 10.00am, youngsters will be able to take part in a training session with Tigers and Brooksby coaches before taking part in an educational workshop giving them insight into what it’s like to study. Whether you’re looking to progress in rugby, sport or open to a number of careers, Brooksby Melton College offers a number of higher and further education courses. On the pitch, Brooksby Melton College continued their strong start to the 2018/19 season with both Leicester Tigers AASE (Achieving Academic and Sporting Excellence) and development squad picking up 55-0 and 38-5 wins respectively against Myerscough College. The wins see the AASE team finish in third place after the first set of fixtures in the North League, whilst the development squad remained unbeaten ahead of the start of their competitive Premier League. 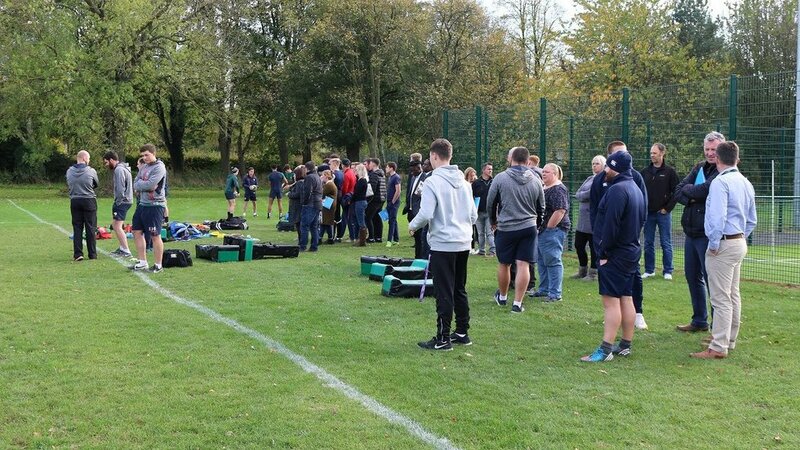 There are now 70 students involved in the Tigers set-up at Brooksby Melton College leading lead rugby coaching at different levels as well as degree students undergoing invaluable work experience at Welford Road in various departments.